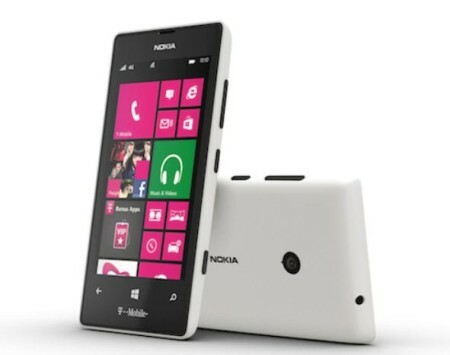 Nokia announced Lumia 521 specially for T-mobile USA . Lumia 521 Comes with impressive specs . Nokia Lumia 521 features a 4inch capacitive display having 800 x 480 resolution . The device is powered by 1 GHz dual-core Qualcomm Snapdragon S4 MSM8227 processor . The device runs on latest Windows Phone 8.0 Os . Lumia 521 comes with 5MP autofocus camera at rear . Nokia Lumia 521 comes with all standard connectivity options like – 3G, WiFi 802.11 b/g/n, Bluetooth 3.0 . The device has GPS / aGPS . It has 512MB of RAM with 8GB as internal memory ( rom ) . External Sdcard upto 64GB can also be inserted . Nokia Lumia 521 is powered by 1430mAH battery . The device has T-mobile TV that allow user to watch live TV & on demand TV . Customers can enjoy Unlimited Nationwide 4G Internet Data at an annual contract. Nokia Lumia 521 will be available in May . Nokia recently launched 520 , 620 & 720 and yet they announced another smartphone . Well there is a good news for those who already have Nokia lumia 620 820 and 920 . Nokia lumia 620 820 and 920 are getting firmware update in ” upcoming weeks ” ( confirmed by Nokia ) . All these handsets will be upgraded to windows 8.0 . The price of the device is not announced yet . 4inch display having 800 x 480 resolution . 3g , wifi , bluetooth . 512MB ram & 8 GB internal memory . 1GHZ Dual core cpu . Nokia Lumia 521 Price is not yet announced . The look of the device is premium and robust . Nokia handsets are more reliable and durable then other handsets . So overall Nokia Lumia 521 would be a great Buy . So those who are interested in Lumia 521 will have to wait till MAY for its launch . For more details you can visit Nokia website .